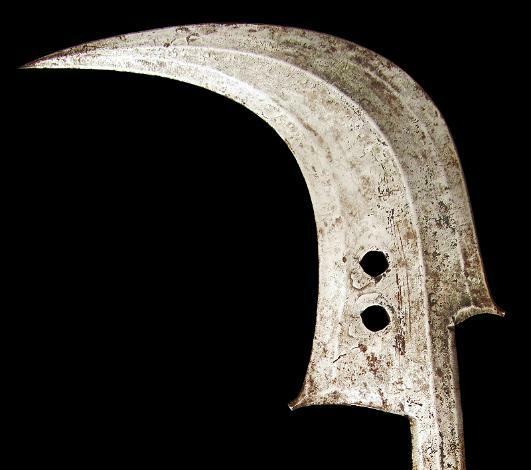 This sickle-shaped knife, although reminiscent of a throwing knife, was not used as a weapon but as a form of currency and as a symbol of rank among the Mangbetu people. The blade is of locally forged iron. It is in fine condition showing no significant oxidation. The blade has a prominent curve, is double-edged and is embellished with a series of ridges. It has two circular holes. These might have been used to indicate the number of wives the owner had. The pommel is of copper, brass (reserved for the nobility) and wood and has a short cylindrical shape with a flat end. The top of the pommel is cut flat, and continues as a smaller cylindrical body that is 8.5 centimetres long before flaring into a slightly convex shoulder with concave sides. The handle becomes flatter and more oval where it joins the blade. It has a dark glossy patina from age and wear. The base of the pommel is decorated with four metal circles embedded in the wood around a larger circular metal plate. The convex shoulder of the handle is sheathed with brass stripes. The handle has some scarification to one side. 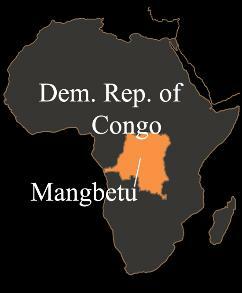 There are about one million Mangbetu people today and they are concentrated in the north-east of the Democratic Republic of Congo. Their language is distinctive because it possesses both voiced and voiceless bilabial trills. Traditionally, the Mangbetu wrap their babies’ heads tightly with cloth to elongate their skulls. An elongated head was associated with intelligence and spirituality. The elongation was accentuated by headdresses and extended hair buns. 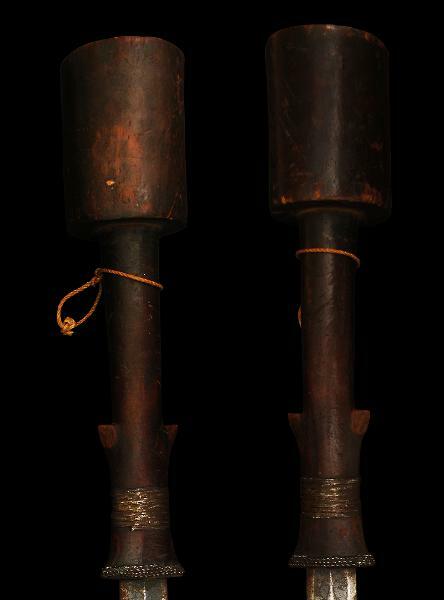 Such artificially elongated heads are a distinctive and recognisable motif in Mangbetu art. 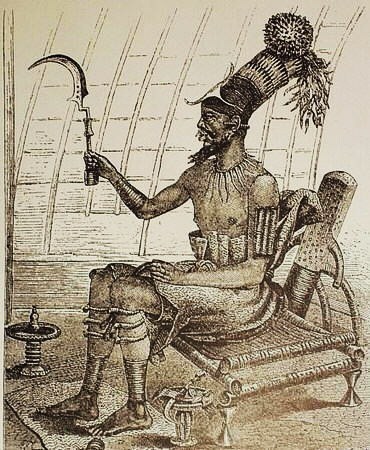 The Mangbetu practised polygamy and were associated with cannibalism. They have a long history of iron and copper forgery and their advantageous knowledge in making weapons and fine ornaments gave them military and economic advantage over their neighbours. 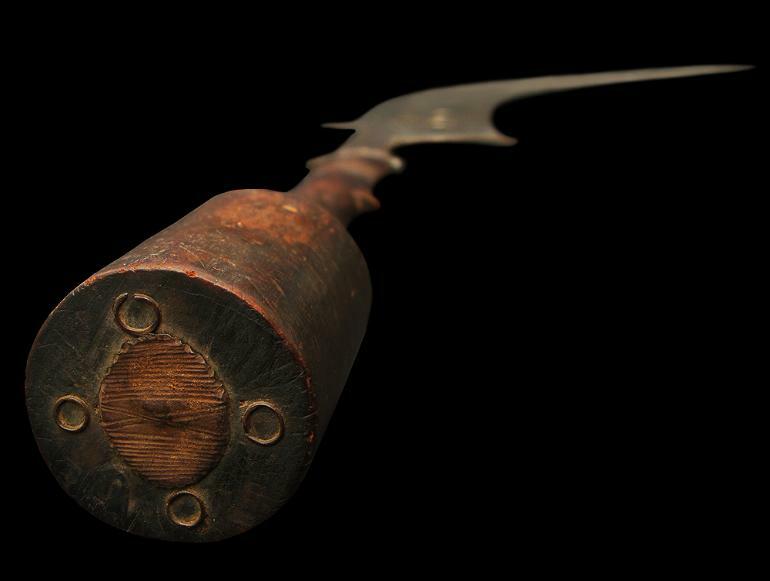 This knife resembles a Zande knife (1917.25.27) in the collection of the Pitt Rivers Museum, Oxford. The Zande (Azande) people live primarily in the north-eastern part of the Democratic Republic of Congo and southern Sudan. 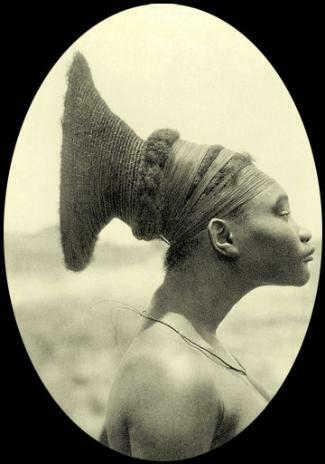 They migrated from the west into what is now the Democratic Republic of the Congo and southern Sudan in the early seventeenth century, after which they became increasingly acculturated with the Mangbetu. Orazio Antinori in Africa Centrale 1859-1861, catalog no. 111, by E. Castelli (1984), which was attributed to the Mangbetu or Zande (Museum of Perugia, accession number 19469). Also see Bacquart, J. B., The Tribal Arts of Africa, Thames & Hudson, 1998; and Ginzberg, M., African Forms, Skira editore, 2000. Acquired in the early 1970s at Wallis & Wallis by the previous owner.